Two drawer and shelf below coffee table. 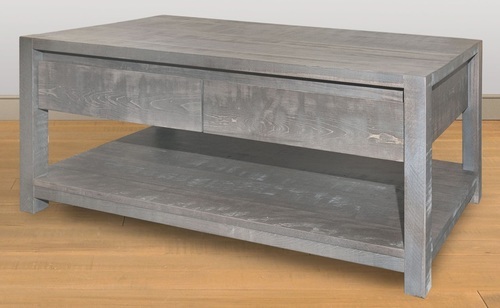 Clean, contemporary, yet the rough sawn cut of this table gives it character unique to Schlabach Timbers. Comes in Solid wormy maple and side-mounted full extension glides for the drawers. H- 19" W- 48" D- 24"